Seven years ago today, I had this crazy idea of starting my own blog. Seven years ago. In some ways it feels incredibly long ago and in other ways I felt as though I've blinked and have sped through so much. I want to take this opportunity now to say a big THANK YOU for taking this journey with me. Fluttering Butterflies is a very different blog now than it was seven years ago today and I couldn't be happier with what it has become. Through this blog, I have met some amazing people - authors, publicists, other book bloggers, and I have loved sharing myself and my opinions on books and life with you. Thank you for your support and encouragement. Thank you for taking the time to read my words and for commenting, emailing, or chatting with me on Twitter. I assure you that this blog would not have lasted as long as it did without the amazing people who read my blog. Without you - so thank you. I think my favourite part of being involved with the blogging community has been the people that I have met. Over the last few years I've met some of my favourite authors: Sarra Manning, Keris Stainton, Luisa Plaja, Susie Day, Meg Rosoff, David Almond, John Green and so many more. I've met some amazing bloggers who have become my friends. I'm not even going to begin listing the bloggers I've met. You know who you are! It's been difficult thinking of the blogging highlights from the last seven years and I'm sure that I will forget something major that has happened. But briefly, here are some of my favourite posts. One of my highlights of my blogging career was my (now ended) feature highlighting Awesome Women. I still really love this idea and actually, reading through some of these old posts has made me a little excited about the topic again ... Some of my favourite posts for this theme are below. 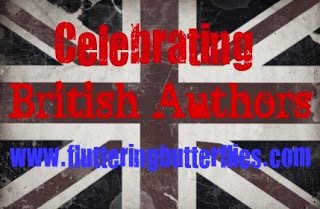 My favourite feature on the blog, that is thankfully still ongoing, is that of Celebrating British Authors in which I've highlighted or written about books with British authors. I've done two events on British authors and I hope in 2013 that I continue to do so. My favourite posts of the series? Other features that I've written over the years include 'Books That Make Me Want to Travel...' 'Musical Memories' 'WWYD?' and 'Not-Quite Blockbuster Books' I've enjoyed them all, and I hope to continue these features in the upcoming years! I will choose winners in one week's time and will notify the two winners by email. One entry per household please. You don't need to be a follower of this blog, but I would of course appreciate it! 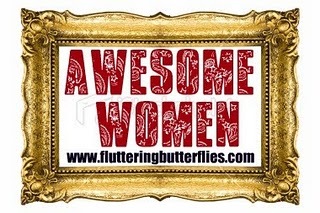 Here's to many more blogiversaries happening here at Fluttering Butterflies. I really couldn't do this all without you, so again, many thanks! And good luck. HAPPY BLOGOVERSARY!!! 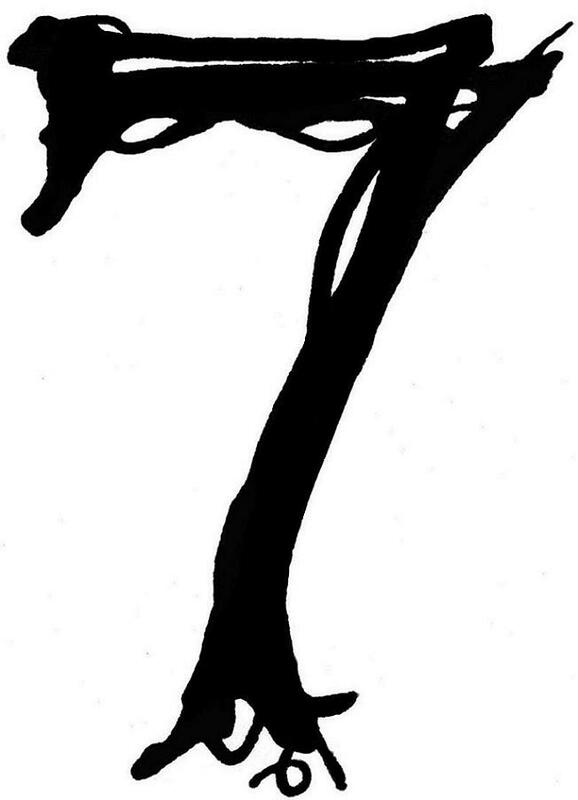 7 years is a long time and you should be so proud of yourself and the blog. I know some people who would give up after 6 months so you've done really well! 7 years worth of posts is a lot! I don't know how you can choose your favourites! Wow, Clover, seven!I love your blog because you're always so sincere and generous in your thoughts. Best wishes for many more years. Thank you so much, M! What a lovely thing to have said. Thank you, Jess :) Today has been more than a little emotional, mostly because of the wonderful response that my blogoversary has gotten! I have such lovely blog readers! Wow, congratulations, Clover! Even though I haven't been with you for the whole seven years I am so happy to have discovered your blog. Your posts are unique and heart-warming and you're such a lovely blogger! :) Thank you for the generous giveaway too! Oh my, Fluttering Butterflies is 7 years-old?! That is quite an achievement! Well Done for keeping it up so long and happy blogoversary of course! Oh thank you, Rebecca :) I'll have to keep changing things about to make things interesting.. Seven years is just incredible! You've had some really incredible posts and features during that time too. Congrats!! !